So, it happened. The new school year commenced today for my kiddo's. Honestly? I'm still reeling from the realization that my baby started school today! All of those clichés that I simply nodded at and dismissed when my children were infants, are so true. The time is passing by way too fast! Though this change is bitter sweet for me (seriously, weren't they both infants like two minutes ago?!) we have had an absolute blast shopping for the back to school and Fall seasons! They are both so excited, and I'm excited for them! The Disney Store (one of our favorite places to stock up on apparel) is fueling the Back to School excitement in a big way this season with crazy low prices that are bound to bring a smile to everyone's face. 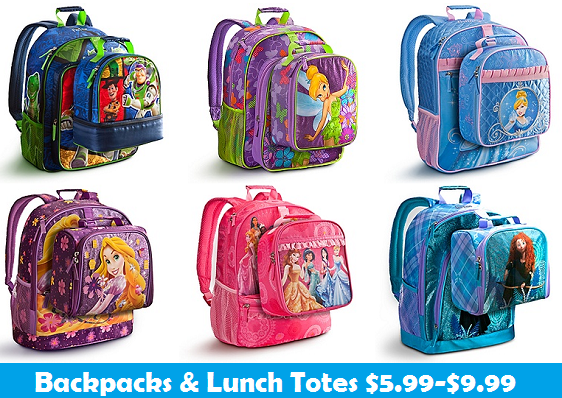 Among our top picks from the Disney Store this Fall are their super cute backpacks (JUST $9.99! ), lunch totes (ONLY $5.99! 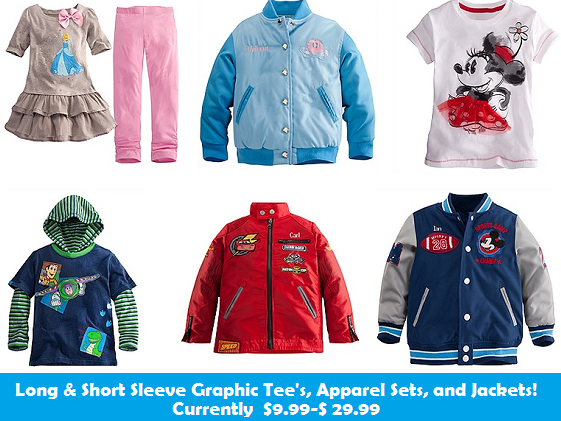 ), apparel sets, jackets (starting at $21.99! 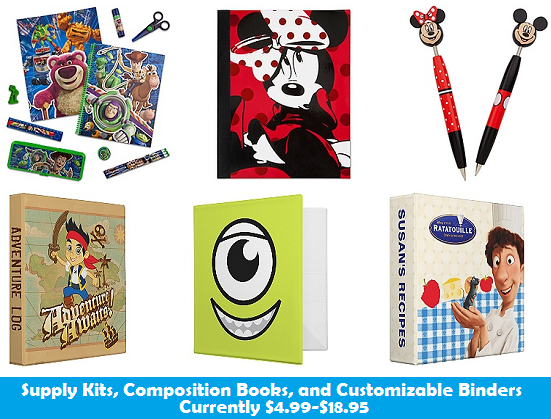 ), and customizable school supplies; all of which feature favorite Disney themes and characters! From the extensive selection to the incredible price points, magic is definitely in the air this season at the Disney Store! The Disney Store, in partnership with The Walt Disney Company, is spreading the magic this back to school season with a donation of 25,000 school supply kits to children at Boys & Girls Club of America (BGCA). Each Disney Princess and Disney Cars themed kit is stocked with essentials including a folder, notebook, pencil case, pencils, ruler, eraser, sharpener, glue stick, and a pair of scissors. Cast members from Disney Store locations across the country will deliver the supply kits to their local BGCA chapters. You can find all of the item's pictured and more in the Disney Store's online Back To School Shop, online at www.disneystore.com and at Disney Store retail locations nationwide. Ready for some Disney magic this back to school season? Two One Savvy Mom Reader's will each receive a Disney School Supply Kit (pictured above)! We have (1) Disney Cars themed kit and (1) Disney Princess themed kit to give away! Visit www.disneystore.com and let me know (in a comment) which item you would love to have this back to school season. Open to U.S. residents. Entries must be received by September 27, 2012 at 12 PM PST. Reader(s) will be drawn at random through www.random.org and must confirm their shipping details within 48 hours from the time that the email notification is sent (or another winner will be chosen in place). WINNERS: "eclairre" & "Marcie W."